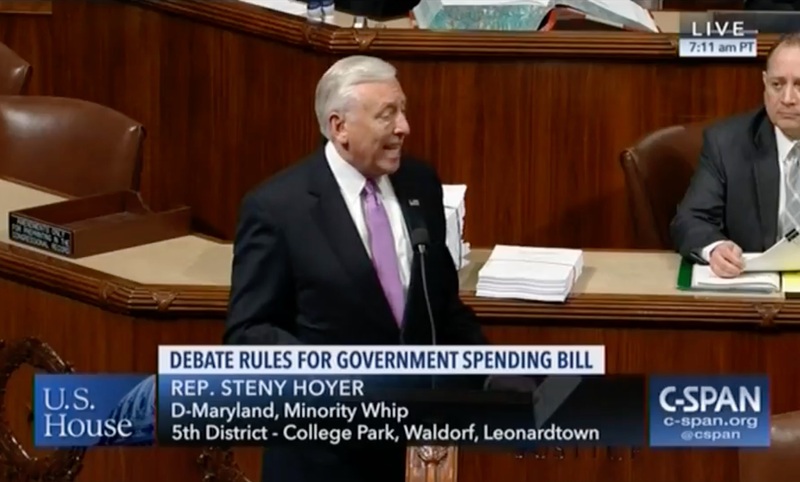 Like Minority House Whip Steny Hoyer (D-MD), I’m old enough to remember the Republicans and the “Tea Party” demagoguing “what’s in the bill”, and “have you read the bill”. Now? The House passed the omnibus spending bill just 24 hours after its 2,300 page text was revealed.